Wow! 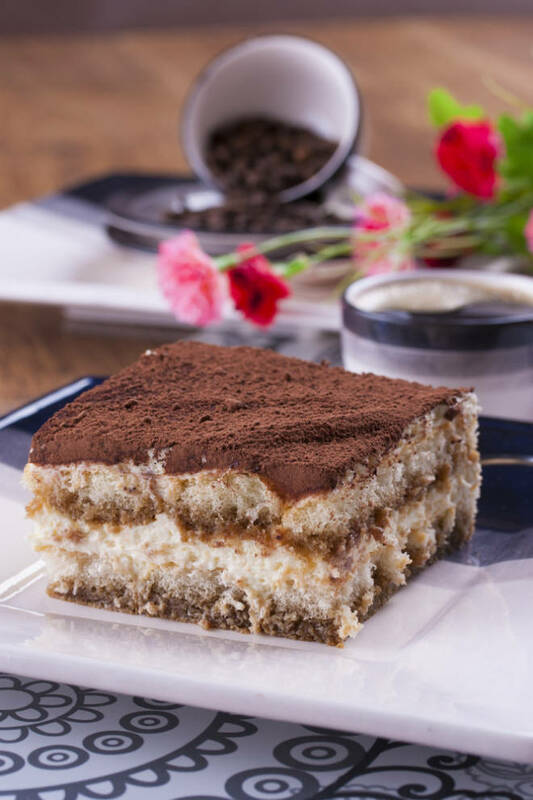 I made this Tiramisu yesterday and all our picky eaters loved it! It was the hit of our dessert table – Now I will be making for Xmas too! It really tasted like it was from my favorite Italian restaurant! Whisk the egg yolks with the sugar until pale and frothy. It should form ribbons when you pull the whisk through the mixture. Whisk in the mascarpone. Use an electric mixer or standing mixer to whisk up the egg whites until soft peaks form. Fold this into the egg yolk and mascarpone mixture. Dip a sponge finger briefly (they fall apart if you soak them for too long) into the coffee and liqueur mixture, then place it in the base of your dish. Repeat until the base is covered in one layer. Spoon over the egg-and-cheese mix, using about half. Grate over some chocolate, then make another layer of sponge fingers, and another layer of egg-and-cheese. Grate the rest of the chocolate over, or dust with cocoa powder. Refrigerate for at least 3-4 hours or for up to one day, then serve! Easy!